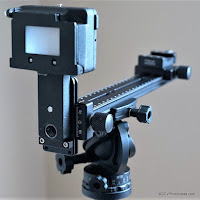 Another major difference is that, model D044 is sold stand alone, while model D043 is sold as a combo with the small D020 QR plate intended for the Nikon FTZ Lens Adapter. 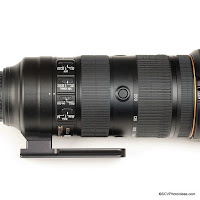 Nonetheless, both QR plates fit on both Nikon Z series models. 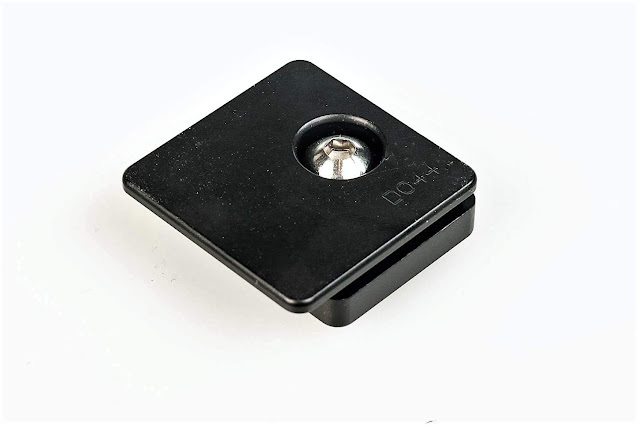 Let's see some details about the D044 QR Plate. 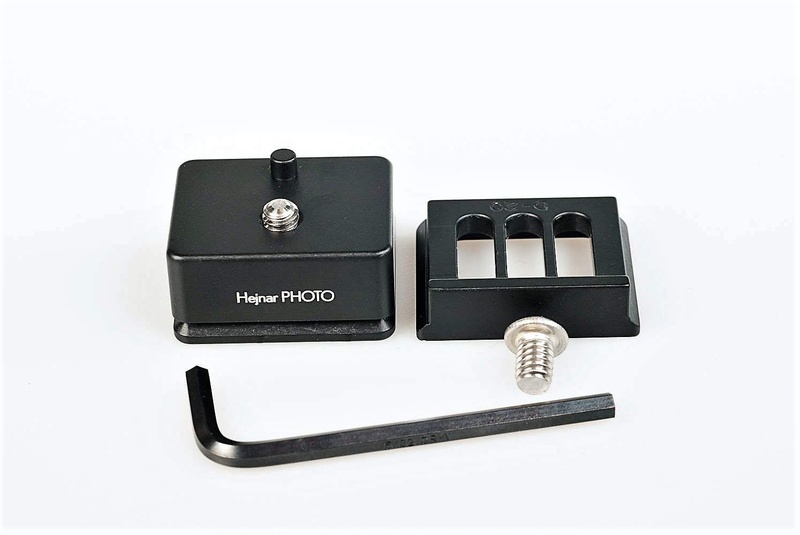 The plate is flat with an almost centered mounting screw hole for the 1/4"-20 mounting screw. 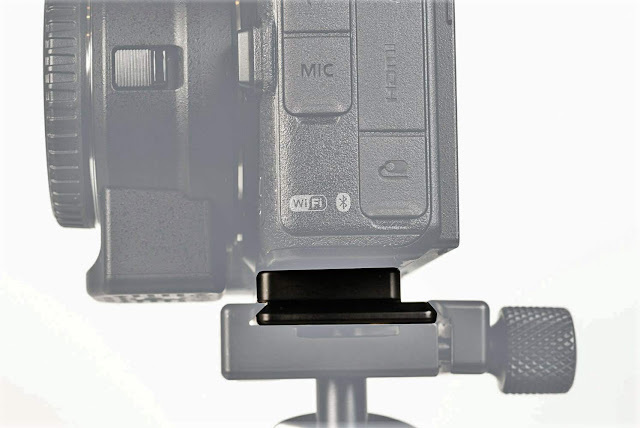 Since the tripod socket on the new Z series cameras lies just under the lens center there is no need for a captive slot for the mounting screw. A small pin behind the mounting screw acts as the anti-twist mechanism for the flat plate. The bottom side of the D044 QR plate is also flat, with only a socket for the mounting screw head. 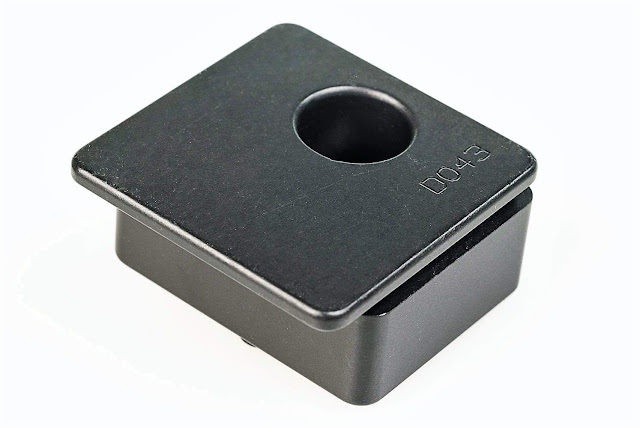 In the photo below is obvious that the QR plate Arca-Style dovetail is rectangular, thus allowing for bidirectional mounting on a ball head QR clamp. 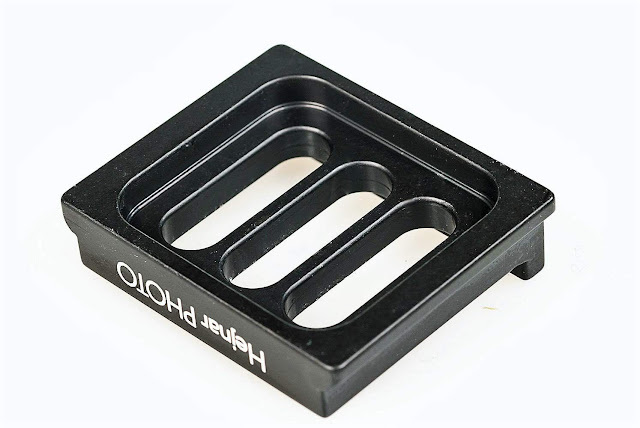 As mentioned above the Hejnar D043 model is a little higher by 7.2 mm or 0.285" than the D044 in order to permit the simultaneous use of the D020 QR plate on the FTZ adapter. Otherwise they are the same in all other dimension and design. 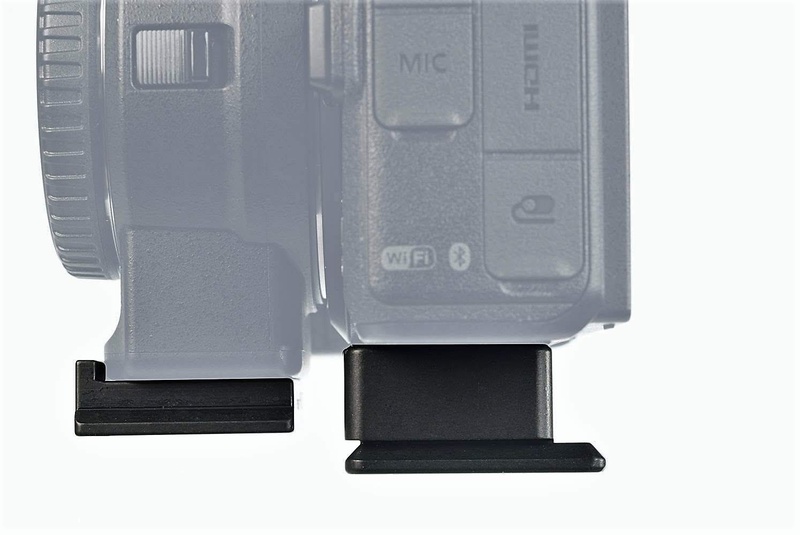 Of course, since the height of the plate had to be increased, so had to do the depth of the mounting screw socket shown below. 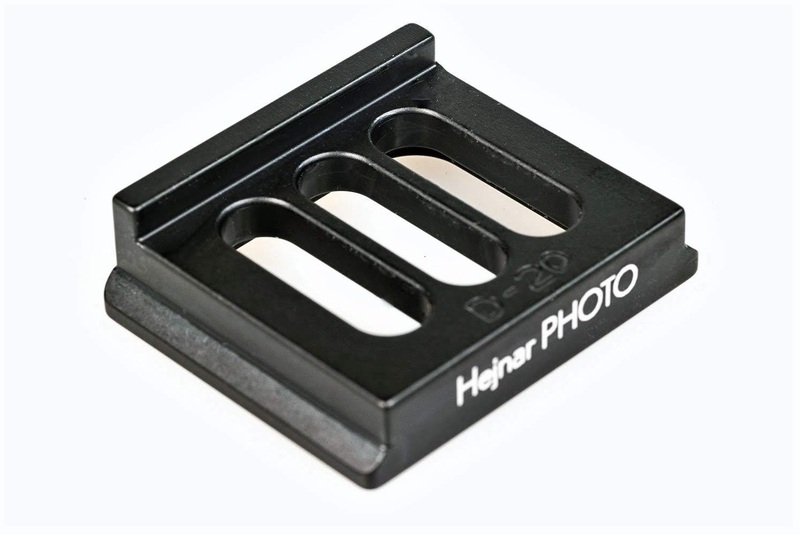 The Hejnar D020 QR plate is quite sometime with us, nonetheless it is the perfect companion to the D043 QR plate in order to fit on the Nikon FTZ lens adapter foot. 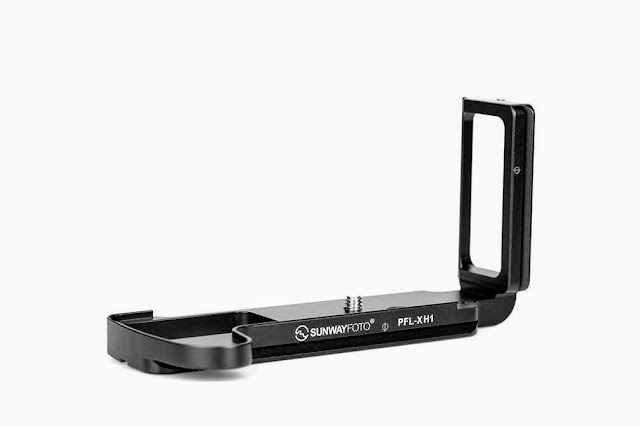 It is small and lightweight, with three parallel mounting slots and a distinctive anti-twist ridge on one side. The bottom side is carved so much as to allow for the mounting screw head to sit below the plate surface. 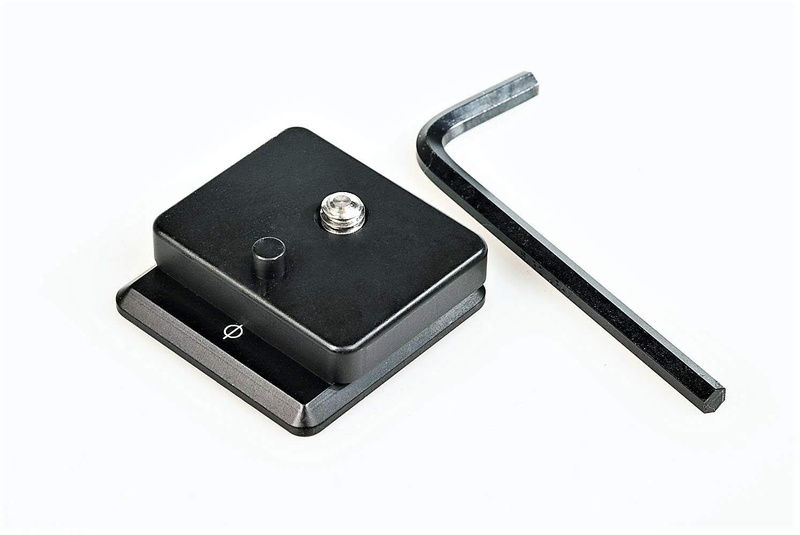 It should be noted that the D020 is equipped with dovetail only on two sides. The Hejnar D044 QR plate is intended for users who do not need the FTZ adapter and is designed to sit exactly under the center of the lens mount as seen below. Despite its low profile is still allows full clearance for the rear tilting LCD and the battery compartment alike. 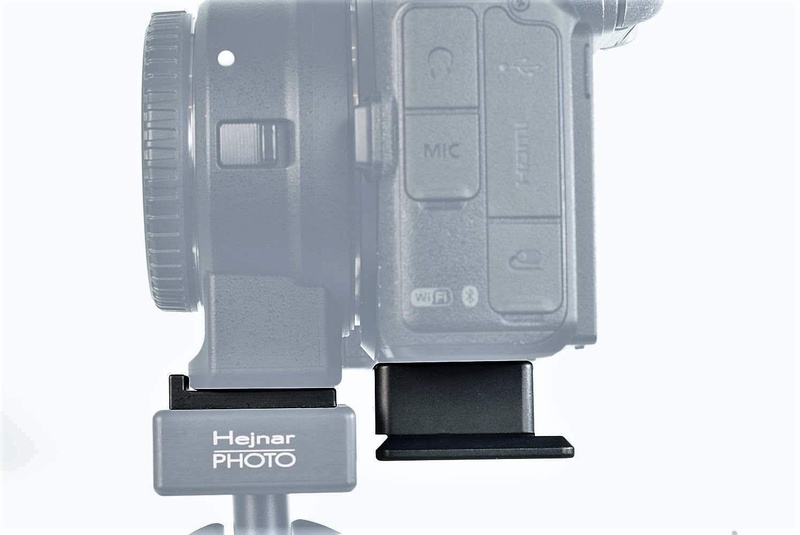 On the other hand the D043 + D020 set is intended for the user who needs the FTZ adapter as well. 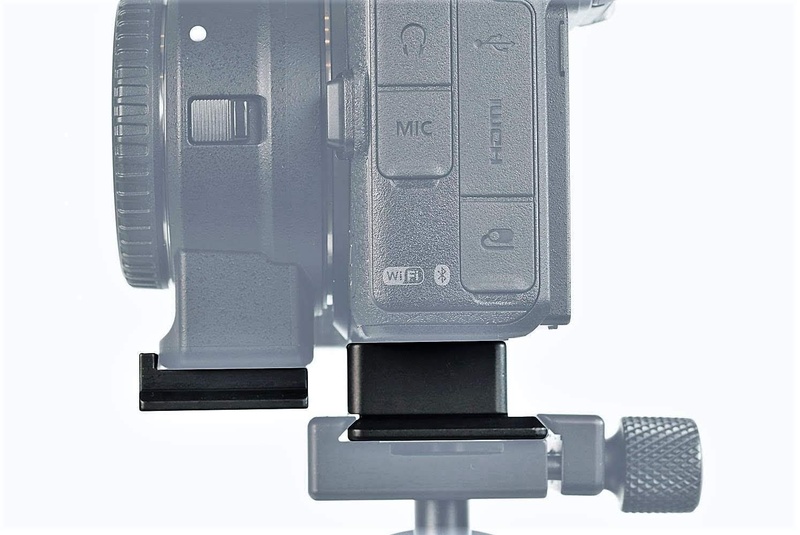 The extra plate on the FTZ adapter will allow for better balancing the camera with heavier and/or longer lenses, also putting the camera mount into less stress. 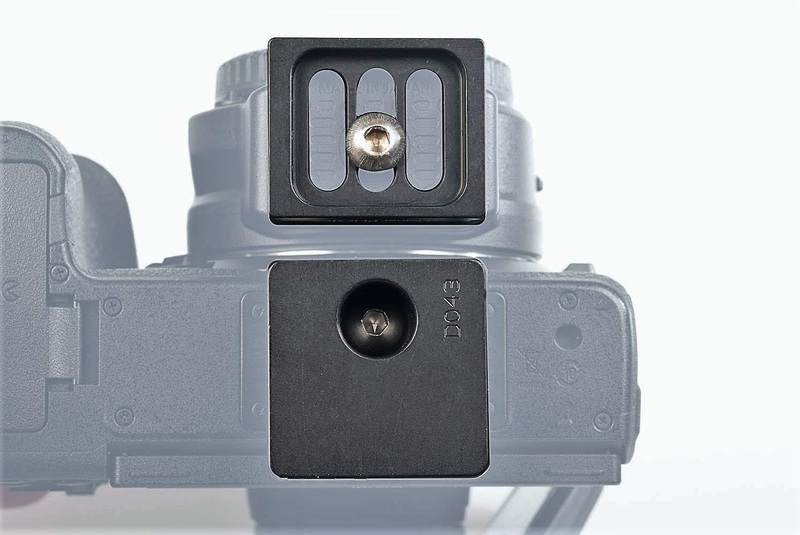 Although the D043 intended for the camera body is bidirectional, the D020 is not and can only be clamped in parallel to the camera body. 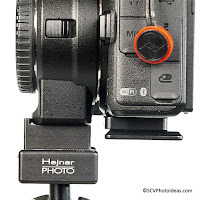 Should I repeat once again, that all Hejnar QR plates are always accompanied by all necessary screws and tools, which in the case of the D044 are one SS 1/4"-20 mounting screw and one appropriately sized Allen Hex key. As expected of course the D043 + D020 set is accompanied by two SS 1/4"-20 mounting screws and one appropriately sized Allen Hex key. 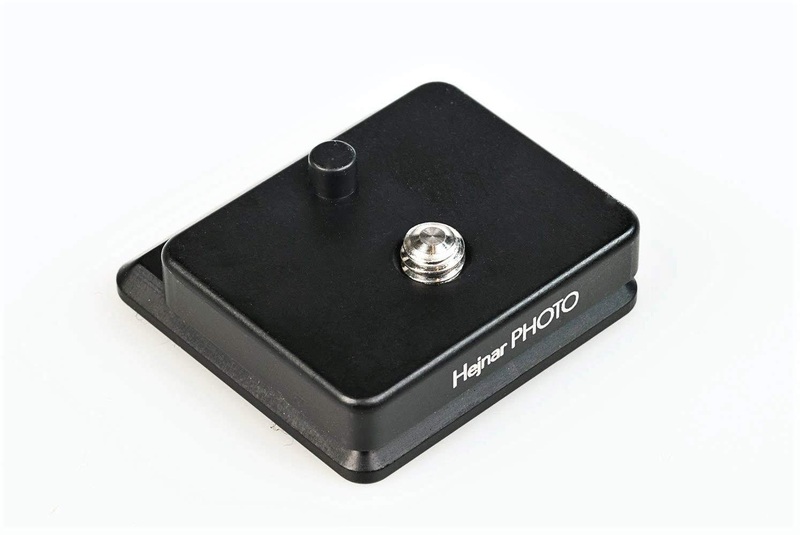 Current price for the D044 QR Plate is US$ 38.00 - 40.00 (+Shipping where applicable) and is available either from the Hejnar PHOTO online Store or from Amazon.com or from eBay.com . Respectively price for the D043 and D020 QR Plates set is US$ 55.00 (+Shipping where applicable) The set is available either from the Hejnar PHOTO online Store or from Amazon.com or from eBay.com . 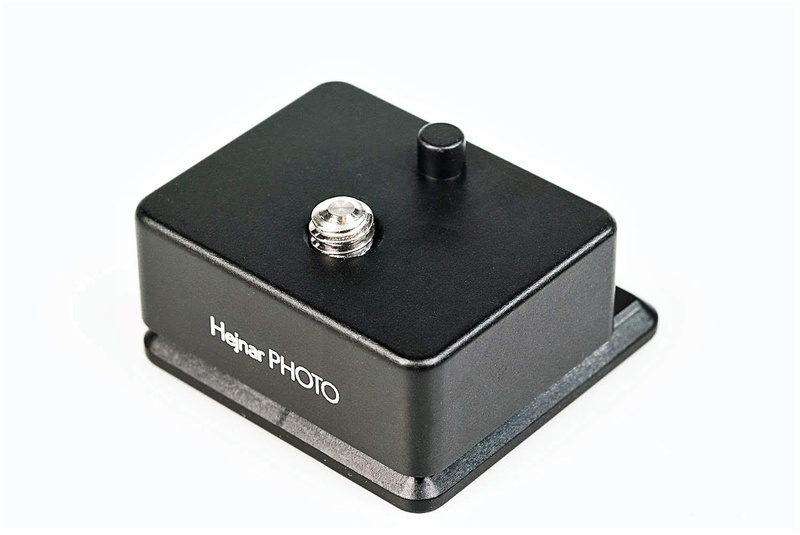 Further if you are interested in purchasing the plate from the Hejnar Photo on-line store, do check the Recommended Sellers page for a valid Hejnar Photo discount coupon before you place your order. 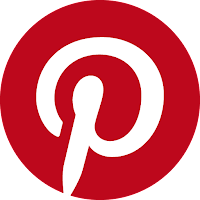 The discount coupon is only valid at the Hejnar on line store.